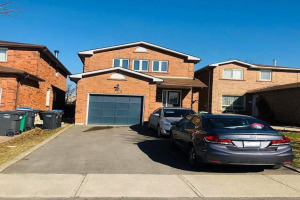 Well Maintained 4 Bedroom + 4 Washroom Detached Home Available For Lease In Prime Area.Ideal Location!! In A High Demand Area Of Bram West. This Immaculate Home Features: Hardwood Throughout The House, Master Bedroom With 5Pc Ensuite & W/I Closet. 3 Other Good Size Bedrooms. Close To School, Park,401 & 407All Amenities!! *** Aaa + Clients Only***.Tenant To Pay All Utilities, No Pets , No Smoking.Fridge, Stove, B/I Dishwasher, Washer & Dryer.